Image captured on 8/28/09 4:36pm. 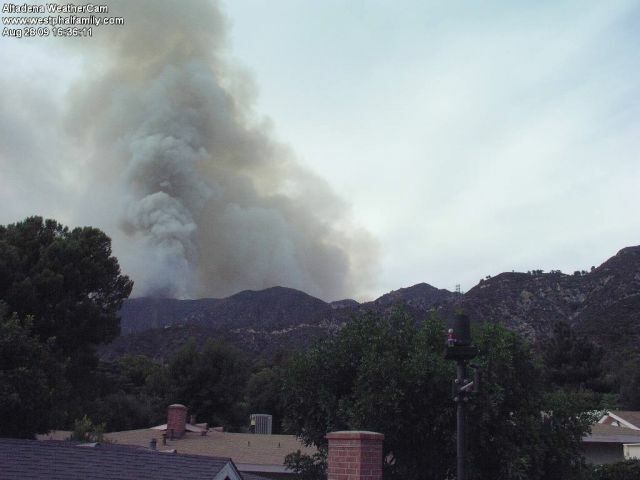 The Station Fire which started along Angeles Crest Highway on 8/26 had now wroked it's way East. In this image the fire is racing up the back side of Brown Mountain. Temperature was 97 Degrees and Humidity was 10% with winds 2MPH out of the SSW.